Charlomane and Prince Leonard were doing just fine before the recession hit. 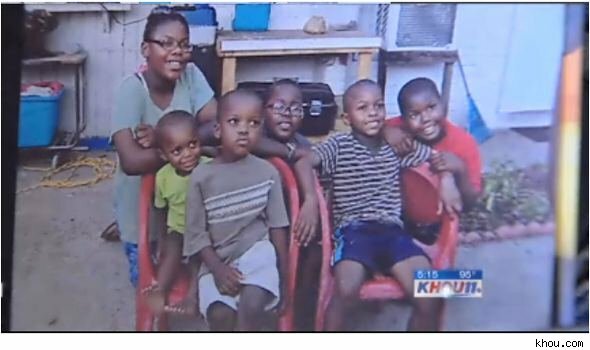 But for the past three years, they've been forced to live with their six children in a self-storage unit in northeast Houston -- a situation that they reluctantly accepted until Texas's Child Protective Services came in and took custody of their children this week. The storage unit that the Leonards have been living in is fully equipped with air conditioning, beds, a refrigerator, microwave, a tub and two computers. What they don't have is running water -- which was part of the reason the CPS came in and removed the children, ages 2 to 12. They kept their water in a 55-gallon drum that Prince Leonard refilled daily. They fill jugs of drinking water at grocery stores and use a "compost" toilet, Charlomane Leonard said.